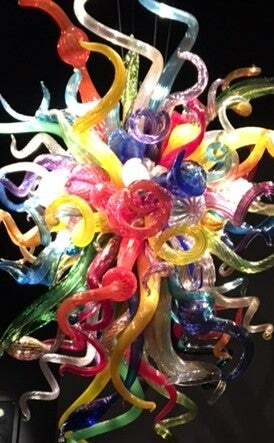 This chandelier at the Chihuly Collection features an explosion of color. Vibrant bowls in transparent yellow and orange, a swirling blue chandelier that almost touches the floor, and delicate reeds of purple glass are among the amazing pieces at the Chihuly Collection in St. Petersburg, about a two-hour drive from Fort Myers Beach. And if you’re inspired to make your own glass, Chihuly-trained artist Conrad Williams offers workshops in his Naples studio. 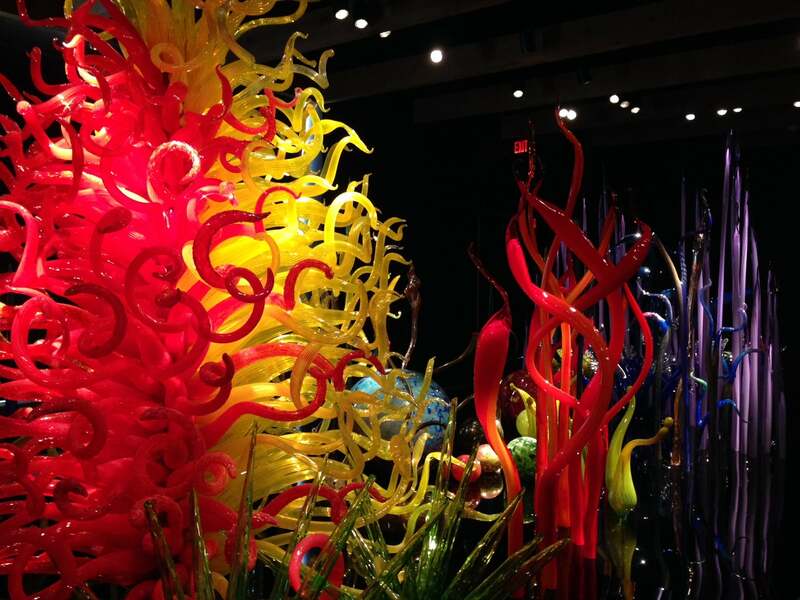 Chihuly creates complex, multi-part glass sculptures and environmental art. Many people know him as the artist who created “Fiori di Como,” the glass sculpture that hangs from the ceiling in the Bellagio’s lobby in Las Vegas. Many of the pieces in St. Petersburg were created just for the museum. The spectacular Ruby Red Icicle Chandelier is a standout, and other popular works include Macchia, Ikebana, Niijima Floats, Persians and Tumbleweeds. Stop by the Glass Studio & Hot Shop where glassblowers create one-of-a-kind pieces as you watch the process first-hand. You can also shop for glass art created by local and regional artists. The Chihuly Collection at 720 Central Avenue in St. Petersburg is open Monday through Saturday from 10 a.m. to 5 p.m. and Sunday from noon to 5 p.m. Docent-led tours are offered weekdays every hour based on volunteer availability. Create your own art with artist Conrad Williams. An admission ticket for both the museum and hot shop is $19.95 for adults, $17.95 for seniors 65+, $12.95 for students, and free for children 5 and younger. For more information, visit the Chihuly Collection website or call 727-896-4527. Naples resident Conrad Williams says few things can top the excitement of watching molten glass take form. Conrad, who had a year-long internship with Ben Moore and Dale Chihuly, regularly performs demonstrations for groups of 30 to 250 at a national hotel chain locally. He also enjoys teaching small groups and students as young as 6 years old at his private studio but can also bring his mobile studio to you in Fort Myers Beach. 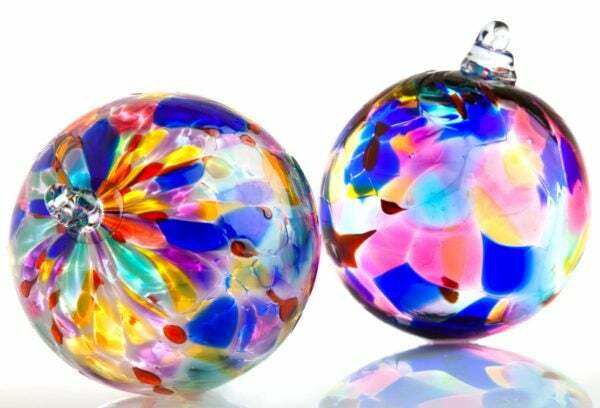 During his ornament, bowl and float workshops, you select your colors and then shape, cut and blow out your form. You can even create a set of two drinking glasses. Because glass takes 12 hours to cool, it can be picked up the following day or shipped. Conrad Williams offers an ornament-making workshop and other classes. 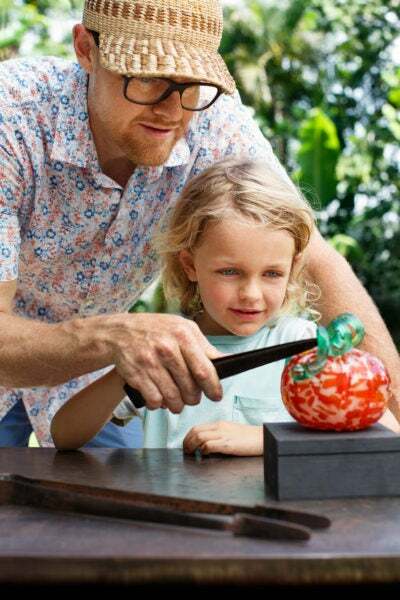 Visit Conrad Williams Glassblowing to sign up for a class or book him for your family gathering. See more art locally. The Fort Myers Beach Public Library has permanent and temporary exhibits, and the Fort Myers Beach Art Association offers exhibits, classes and more. The art of finding your Fort Myers Beach rental property is easy with Sun Palace Vacation Homes.